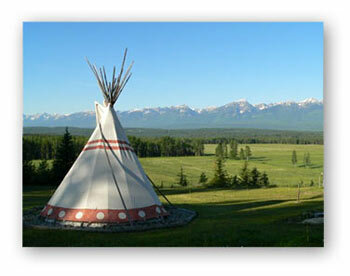 A peaceful and quiet retreat north of Golden B.C. 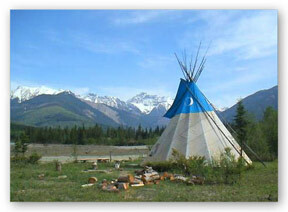 right on the edge of wilderness in the Canadian Rockies. 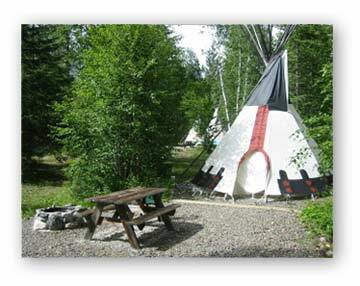 Stay in one of our seven teepees in beautiful setting with cooking facilities, central washrooms, and common area in adjacent day lodge, or choose one of our comfortable one and three bedroom cottages with kitchenette, fire place deck. Experience the beauty of our natural pond, walking trails to the Blaeberry River, abundant wildlife, and the spectacular views. Savour our excellent European cooking, with vegetarian meals available on request. 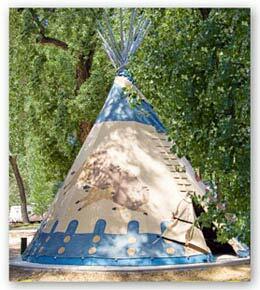 We are a “Green” Lodge – Committed to Help Save Our Planet. 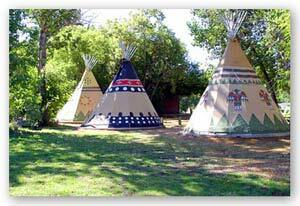 A safe sanctury for your inner and outer explorations. Offering personal growth seminars and firewalking seminars as well as massage, mud bathing or sauna/ hot tub for personal, group and corporate retreats. 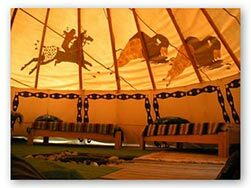 Accomodation is available in the riverside lodge, in cottages or in tipis. 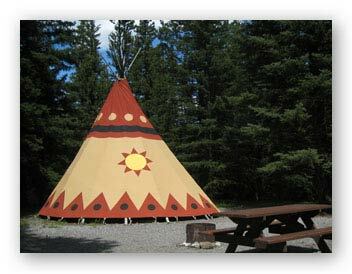 Sundance Lodges has been offering adventure-accommodation — beautiful Sioux tipis and comfortable trapper’s tents — to families, schools, tours, and international travelers in the Alberta Rocky Mountains for 16 years. 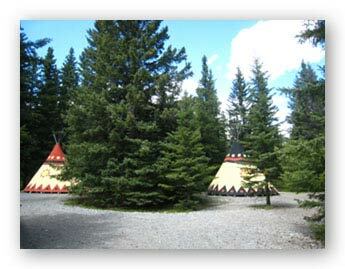 Inside each tipi is a wood floor, wood frame beds with mattresses, heater and lantern; outside – firepit and picnic table. There are lots of exciting outdoor activities to enjoy in the area such as horseback riding, rafting, hiking, rock-climbing, hiking.